What's more Irish than Guinness? But this isn't a forum for debate, this is a poem and a toast to a famous dark beer. May Lethe run with Guinness! If you are going to raise a toast, the festivities kick off today at 17:59. 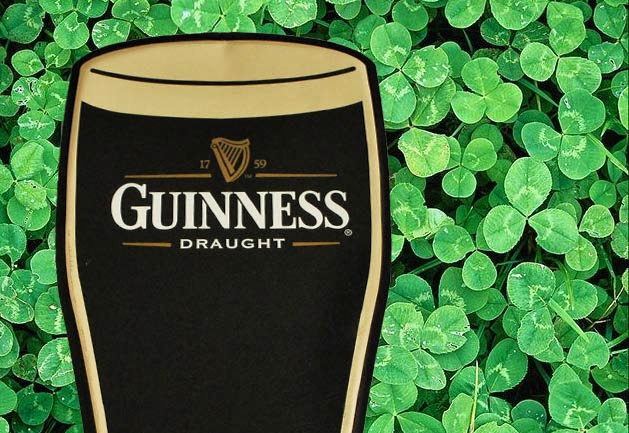 One minute to six, in honor of the year of the founding of Guinness in 1759. How big has Arthur's Day become in Ireland? Today, there are over 500 music events featuring more than 1000 acts in Ireland alone. Guinness is also sponsoring events worldwide. One musician not partaking in the festivities is Irish folk singer Christy Moore. Christy has written a stinging indictment of Arthur's Day appropriately called Arthur's Day available on his upcoming Where I Come From disc due in stores November 1, 2013. You can check out his lyrics and form your own opinion on Arthur's Day.